Mr Tarrant bred show poultry, specialising in rare and exotic breeds. He became a well-known poultry judge. 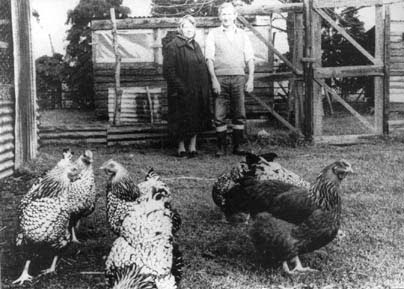 This picture was taken around 1970 and shows Mr Tarrant's prize silver laced wyandottes. Bob Tarrant's memories of farming in Eton Wick can be read here.